By post with a crossed cheque made payable to the “Sewerage Board of Limassol – Amathus”. At the back of the cheque the customer's account number should be written as well as the reference number that appears at the front of the statement of account. The payment slip should always accompany the cheque. Official receipt of the payment will be sent by post to the address shown on the statement of account. Attention: No cash should be sent by post. At any Bank or Co-operative Society before the due date of payment upon presentation of the statement of account. If payment is made at a Bank, it is possible that you maybe charged nominal bank charges. An account that is not settled by the due date, can o­nly be paid at the Board's offices. Automatic settlement of account through bankers order Customers who wish to participate in the scheme should apply to SBLA Offices to sign the relevant order. The statement of account will then be forwarded to the bank or the Co-operative Society in order to settle the bill. The customer can cancel the standing order that he signed or postpone the payment of any bill, if he first informs the Board before the last date of payment that appears on the statement. 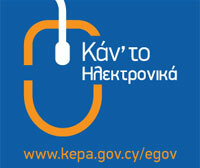 Payments can also be made through the websites of Bank of Cyprus and Hellenic Bank. Through the website of JCC ( www.jccsmart.com ) where payment can be made directly if you are a credit card holder only. There is no need to have a bank account. For information about your account and other services you can telephone 25881888 or write to the following address: -Franklin Roosevelt 76, Building A, P. O. Box 50622, 3608 Limassol, giving details of your property or the details that appear atn the front of your statement. Τhe last payment date for the payment of the sewerage charges for the year 2018 is the 31st of October 2019. For further information please contact our offices no. 25881888. Owners of property which is situated within the Boards' boundaries and who do not receive a statement of account for their property, are requested to visit the Board's offices bringing with them the registration certificate of their property. Through the website of JCC (www.jccsmart.com) where the customer has the option to make partial payment of his bill by defining the amount that he wishes to pay as well as the frequency of instalments. Minimum instalment amount €30. In the event where the sewerage charges are not settled by the due date, a surcharge will be imposed on the outstanding amount only.